Australian Aboriginal culture is one of the oldest surviving cultures on earth. The rock art in the Kimberley sits in one of the world’s richest rock art regions and has been described as Australia’s most important Indigenous heritage and cultural asset. Indigenous Australians are the traditional owners, makers and custodians of the rock art. The west Kimberley was added to the National Heritage List on 31 August, 2011. In 2015 it was announced the Mitchell Plateau is to be included in a new Kimberley National Park which will encompass the existing Prince Regent, Mitchell River and Lawley River national parks and will become Australia’s biggest national park. Aboriginal rock art in the Kimberley is unique in the world for its quality and quantity, stylistic variation and clear sequences over time. It is a window onto life as it once was. We see the plants and animals and the tools and weapons; we have glimpses of rituals and practices which show us how people lived. The rock art reflects how they adapted to a changing environment. One of the principle ways in which Kimberley Foundation Australia supports Aboriginal heritage is by working with Aboriginal communities to record the rock art and by supporting academic researchers to work in partnership with them to uncover Australia’s earliest settlement history. KFA is hopeful that proposed changes to the WA Aboriginal Heritage Act 1972 will have minimal impact on the Kimberley mitigated by the fact that much of the land is native title and/or IPA determined and the Aboriginal Corporations, Traditional Owners, Rangers and custodians manage sites well, regardless of what is happening in terms of state legislation. 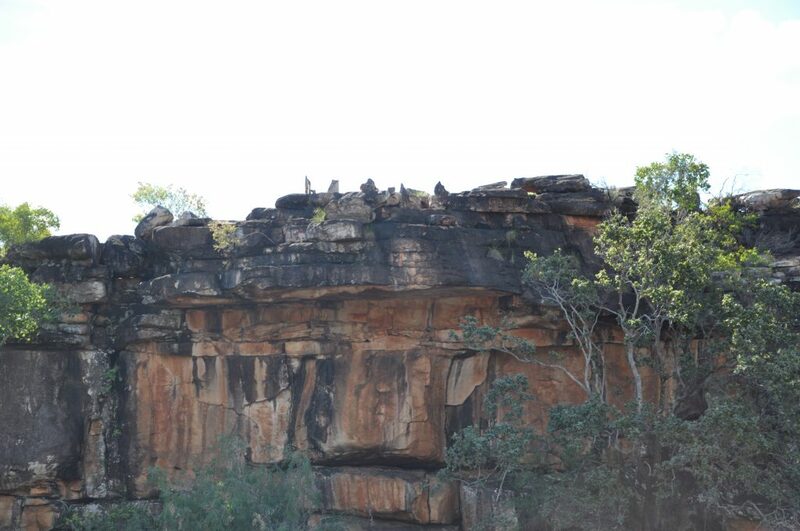 See Aboriginal Art and Kimberley Region for more information. The science from the Rock Art Dating is very important for future generations. We’re losing knowledge through the older people dying. We need the information from the scientists, as well as from the Aboriginal people for the future. The Kimberley Foundation brings the projects and the people together and enables this to happen.